Notice I didn't title the post the call for Ronald McDonald to retire. There's a difference there. Some news reports on this new campaign, a campaign spearheaded by Corporate Accountability International at Retire Ronald, suggest that the campaign is simply for McDonald's to give the clown his walking papers. That's actually not the case, the case is to retire the ability of the food industry to utilize characters like Ronald to market their fare to kids. Because that clown embodies an advertising practice that has preyed on generations of children and certainly has been a real contributor to societal obesity. That practice? Targeting children who aren't able to discern truth from advertising to utilize kids' "nag power" to control their parents' purse strings while at the same time cultivating lifelong brand loyalty. Ronald's more than just a restaurant clown, he's also a charity clown in places like Ronald McDonald house, a comfort clown in hospitals, a teacher clown in schools and an activity clown at sporting events. Ultimately though, he's still a clown and as such he's clearly designed to appeal to our children. 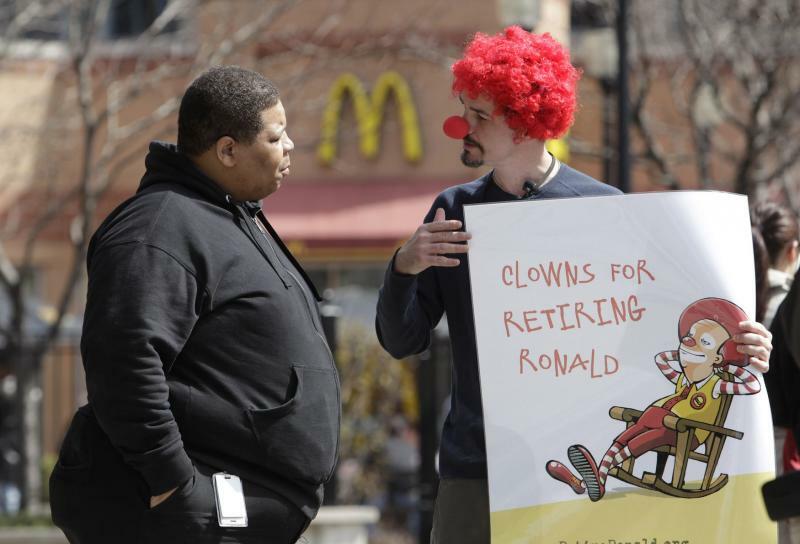 The call isn't for McDonald's to retire Ronald, it's for society to retire him. Pressure from society to lawmakers may ultimately lead Ronald and his ilk to be legislated out the door. • The removal of all advertising and promotional materials from places children visit frequently including schools, playgrounds, recreation and community centers, and pediatric health care centers. I signed the retire Ronald petition. Will you?